At the recent Ideas for India event in New Delhi, Karthik Muralidharan (Associate Professor of Economics, University of California, San Diego) sat down with Arvind Subramanian (Chief Economic Adviser, Government of India) to discuss on a broad set of issues ranging from the uniqueness of the Indian development model, the political economy of reforms, reducing factor misallocation in the economy, enhancing State capacity, financing India’s infrastructure needs, to the implications of the Fourteenth Finance Commission, improving the design of social welfare programmes, and climate change. Karthik Muralidharan (KM): It is a great privilege to have Arvind at the I4I Conversation Series. The aim of this forum is not to put Arvind on the spot and ask what the government is doing about x or y or z, because those are very much part of a deliberative process that might not always be shareable in the public domain. Rather, this is in the spirit of what Ideas for India and the I4I Conversation Series are about – creating a forum for informed public understanding of complex issues. So Arvind, let me start by asking you to give us an overview of the Indian economy – how we got where we have, with a focus on what has happened in the past year, and your forecast for the most important things going ahead. 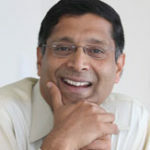 Arvind Subramanian (AS): Thanks – it’s great to be here. I do want to take a few minutes to set the Indian development experience and model in a broader context, before I come to the more recent period which I’m sure everyone is interested in. I want to say 3-4 things about the Indian development model, where we are, and how to understand it. The first and I think the most exciting thing for me as someone who has studied growth across countries from a macro perspective, is that there is something very unique about the Indian development model. I call this the precocious development model, and it has two components. One, political scientists have often observed that India is a complete outlier in having sustained democracy at very low levels of income, low levels of illiteracy, and a highly agrarian economy – that’s one aspect that has implications for economics as well. The second part of the precocious model is that it is not just precocious politics but also precocious economics. There are many ways of explaining this precocious economics model, but I will focus on two ways. Most countries grow by either specialising in/ exploiting their minerals, as in – the old model – or in some cases, exploiting their geography. But most of the post-war growth experiences have come about by becoming manufacturing powerhouses, especially starting with low-skill labour and going up the spectrum. Of course, everyone knows that the Indian development experience, certainly in the last 30-35 years, has been driven by services, and that’s fairly special. The other way of understanding this precocious model is that in some ways India is trying to grow and develop not by worshipping or deifying its comparative advantage but by defying it. We have a lot of unskilled labour but we are not using it; we are using much more of our skilled labour. For me, the most striking manifestation of this precocious development model is that India actually exports a lot of FDI. If you think of the international pattern of development, countries in our stage of development are meant to get capital, labour and technology, and then export labour-intensive goods. But we have been doing something else, so this is actually a fairly unique development model. It is a work-in-progress; we can’t say if it’s a success or not. Provisionally, in the last 30 years, it hasn’t been doing too badly – 6-6.5% growth rates for 35 years, but with lots of problems and so on. So if India can pull it off in some senses, it would be quite a unique development model – maybe a model for others to follow down the road. So that is something really exciting about Indian development. The second thing which strikes me is related to India’s precocious politics model. There is a combination of what Lant Pritchett calls a flailing State (some would say, as you have said, that India has weak State capacity) on one hand, but India is also a perennial democracy as it were, on the other. I think democracy has created these pressures to redistribute and spend at levels of development, which the advanced countries reached much later in their development process. This creates a lot of challenges – can you spend well? What kind of spending should you do? We are seeing these tugs to some extent. One manifestation of that is in some ways, you can understand some of what went on in the UPA years: a country or a model that is trying to redistribute without the State having established its credibility and legitimacy by providing essential services. Indira Rajaraman said that even the western world redistributed much later in the process because it had established its credibility to spend. And so we are trying to spend and redistribute without, perhaps, the legitimacy or ability of the State to do it well. The other part of this, which is very important and which gets neglected, is taxation – the fiscal contract between citizens and the government is very important for accountability and institutional development. In India, for example, the number of taxpayers in relation to voters in the economy has been about 4-4.5% for a long time. So we still don’t have that fiscal contract and that creates a lot of challenges. The third thing, which has happened in the last 10 years, is what I would call the Latinisation of Indian macroeconomics (I should clarify that, in some ways, the Latins have moved on). We had become much more vulnerable macroeconomically – high deficits, high inflation, great reliance on foreign capital over time, which has created this volatility. Dani Rodrik has this important idea that if you are going to integrate, you actually need bigger government because there is more volatility and you have to cushion against the shocks. So we have a situation where we have become more volatile macroeconomically, we have become more exposed, and that has created a lot of challenges. The 2013 experience that we had – coming very close to a serious problem – I think was, in some ways, a culmination of the Latinisation of Indian macroeconomics. The fourth point, I would make in terms of the challenges is as follows: one way to understand India – on the model side and the micro side – is I that we went from socialism with restricted entry to capitalism without exit. This is now a real problem in India. You take power, fertiliser, banks, PPP projects, civil aviation, or even agriculture like rice and sugar – the problem is you can’t get out. Inefficient firms or inefficient production can’t be easily reduced and that poses a really big problem for all the things that you think are desirable. It is a fiscal burden; it affects the economy in so many ways. Summing up, India has a unique development model and there are at least three challenges. First, the weak State and what politics has done in terms of redistribution and taxation; second, the Latinisation of Indian macroeconomics, and third, we have gone to this capitalism without exit (we can talk about crony capitalism later). I actually strongly believe that there is going to be a lot of endogenous change in India. I’ll give you a few examples. One – and Karthik, we have discussed this before – is that we talk a lot about what the State has or has not done for education. Educational outcomes are very poor. But I think, to some extent, if you look at what has really driven at least the drive to enrollment and people seeking more education has been the growth pickup over the last 20 years. Just having growth and the particular pattern of growth has increased the demand for education. Outcomes are still a question mark but at least we are not talking now about just supply driving educational outcomes, but also demand driving educational outcomes. This has had a huge impact and is an example of endogenous change. The other big agent for change in India is going to be competition among states. That is why I am – subject to some caveats – a big fan of the Fourteenth Finance Commission because basically you create not just cooperative federalism but also competitive federalism. It has maybe not gone far enough – it has to embrace cities as well. Lastly – again a work in progress – I think there are signs that some of this endogenous change can come about because in India, good economics, perhaps slowly, not always, not everywhere, could be becoming good politics. We have seen that in the last 2-3 election cycles, we have seen that in 2014. The great sage and philosopher Donald Rumsfeld said, “You go to battle with the army you have”. So when people in India talk wistfully about the Chinese model and top-down development, it’s almost a silly wistfulness because you know you’re stuck with the system you have. Are we seeing enough endogenous change from within the system? I think this good economics becoming good politics could be combined with competitive federalism, and could be an endogenous agent of change in India. So on the whole I would say, yes there are challenges, but I’m quite hopeful about endogenous change. The macroeconomy has turned around quite considerably in the last year or so. Looking ahead, I think growth in the short run is going to be better than last year. Pronab is sitting here so I’m not going to pronounce on the number; he will get angry with me. But all I can say is that growth in 2015-16 is going to be better than growth in 2014-15 by more than 2014-15 was better than 2013-14! Whether that is 7, 6, 7.5 or 8, I will leave it to Pronab to decide; as I say, I don’t fully understand the numbers but I think it is going to be better. And I think yes, change is happening, reforms are happening; we can get into how much has happened, how much has not happened. I don’t actually think that the international environment is going to be a big constraint on us, certainly not in terms of capital/ finance. One thing that does worry me is that our export outcomes have deteriorated quite sharply. It’s happened not just in goods and services. Some of it is external but some of it is also competitive challenge. So we need to keep plugging away. There are some big institutional reforms that are happening, like the GST (goods and services tax) and the whole DBT (direct benefit transfer)/ JAM (Jan Dhan Yojana, Aadhaar, Mobile Money) vision. Those are really game changers, if we can get them done right. 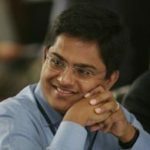 So between competitive federalism, good economics being good politics, a few institutional game-changing reforms – I’m certainly bullish enough to want to do this job with hopefully more energy or as much energy as you have, Karthik! [13:32] KM: I think that was a great review of how we got to where we are. Let me bring us back to the last 12 months. If you were to highlight the 2-3 big enabling changes that have taken place in this time that are setting the stage for some of the cautious optimism that you describe, what would those be? And then if you could just chalk out, perhaps, the 1-2 year plan on some of those big-ticket items – the GST, the JAM agenda, and some of the other things that you have laid out. AS: A big change has been the macro stabilisation. Oil prices have helped, but we have also contributed to the decline in inflation – the RBI (Reserve Bank of India) has also done that. To the extent that price inflation was coming through from agriculture and Minimum Support Prices, the government has contributed by moderating them and keeping them manageable. So the macro side is looking less vulnerable than it did a couple of years ago. In terms of the 2-3 big-ticket reforms – where the big actions have been taken: the fact that spectrum and coal were auctioned cleanly and transparently sets the model in terms of what the government is seeking to do on governance reform. Gold has been liberalised – which people don’t realise – is actually a governance reform. All the deregulation that has taken place on the energy side is another part of it. On the real sector side, a lot of opening to FDI has happened. In terms of institutional reforms, GST will hopefully get a passage soon and actually start being implemented in April. The JAM is being done for salaries and pensions to some extent. We’ve had this cooking gas experiment which has been quite successful. Prabhat Barnwal has done some work on this, as has Siddharth George. We have seen tremendous gains and are now looking to extend it to other commodities. However, the lessons from cooking gas don’t easily travel to other sectors and the policy design has to be right. But this whole JAM vision is really an institutional change, which is important for the following reasons. Firstly, apart from the fiscal savings – which is the smallest part of it – if the government can do something well, it legitimises the State and builds State capacity. It chips away at the cynicism about government and the delegitimisation of government that takes place. If we can do that, we can also allow the price system to function better; there are efficiency gains to be reaped from that. If you look at the Economic Survey, it’s amazing that for many goods and services, consumers and producers still don’t face market prices. Above all, any democratic government wants to protect the vulnerable and the poor and this (direct transfers) is really the best, most efficient way of doing so. So I think the JAM agenda is going to be really important as an institutional reform. The interesting thing is that not only have oil prices been deregulated but people have noticed that the government has stuck to its commitment. International prices have gone up to some extent after the low, and pump prices have adjusted accordingly, unlike the earlier era, when the whole thing collapsed. So I think as long as prices don’t go too far – say, if it goes to 100, then all bets are off all over the world, not just in India – but I think the deregulation commitment can be maintained. The Fourteenth Finance Commission has been a big game changer in terms of unleashing competitive federalism. On the short-term macro side, we made a strong pitch that the government needed more public investment because of the state of corporate sector balance sheets. The government has allocated more, to some extent, by saying that we’ll delay the fiscal consolidation targets. So all these things add up to something we can build on and work more towards. Of course, the big challenge is the exit problem. There are lots of things related to exit – banks, PPP, corporate sector. That’s going to be one big challenge going forward. Otherwise, in terms of governance, institutions, macro and real sector, I see enough having taken place that if we persist with this, there could be meaningful change and higher growth. [18:53] KM: That’s great. So let me use that as a chance to transition to much more specific issues. One thing you did not mention, which I think the government deserves a lot of credit for, is the monetary policy framework. I remember you talking about how earlier there was a political consensus that inflation was politically bad, but then there was this time in the past 10-15 years when we seem to have accepted a permanently higher level of inflation, and this was something we were all worried about. So this is actually a big game changer, because it is committing credibly to restricting the government’s ability to inflate away debt. How did this actually come about? What are the costs that you might worry about? Because now that you’ve tied your hands on this, the concern is that the fiscal space gets limited in terms of perhaps running deficits that you think might be warranted for investment reasons. How did this come about in terms of agreeing on the monetary policy framework, and what might be the trade-offs involved? AS: When Raghuram Rajan took over as RBI Governor, the Urijit Patel Committee Report came out, which recommended inflation targeting. There is some dispute whether it was inflation targeting or flexible inflation targeting – and we need to talk about that to some extent. As you said, the experience of high inflation, I think provoked enough people into recognising that this is a problem going forward and that we need some institutional constraints on that. On this, the RBI and the government have been on one page. In fact, the monetary policy framework was actually announced in the August budget last year, and this budget, we had the first agreement with the RBI. Going forward, this is going to be a part of the monetary landscape, because both government and the RBI have a common commitment to inflation reduction. The strong belief is that when you have high inflation, there is no tradeoff between inflation and growth, and that’s the theory behind it. Now, going to the second part of your question, the point is whether we going to have a rigid inflation targeting framework or something more flexible. That is a discussion we are going to have going forward. I don’t think the fear that the government is going to inflate away its debt is a serious concern, certainly not at this stage. Maybe, down the road, that might happen. The irony is that we are in this situation because we did inflate away our debt over the last 15-20 years. Our debt to GDP (Gross Domestic Product) ratio has come down. Initially that happened because we grew very rapidly, but then we had high growth and high inflation, so debt has come down beautifully for India in that sense. It is the kind of inflation that I think the US and Europe are salivating about. Going forward, prudent fiscal and macro management is a shared commitment of the government and RBI, and so in that sense, inflation targeting merely codifies that and we will stick to it. [22:06] KM: Perfect. So let me point to what seems like, to everyone, a pretty fundamental constraint right now, which is that India needs major investments in infrastructure. But, for the reasons that you described, there are commitments to categories of spending. I think most of today’s developed countries invested in public goods before they invested in redistribution. We are kind of in a place where the redistributions commitments are in place and therefore, this severely restrict the fiscal space available for these investments that we know we need. What is interesting is that from a basic capital budgeting perspective, as long as the IRR (internal rate of return) of an investment is positive, you should be willing to borrow for it. But then the bond markets won’t let you do that beyond 3% or 4% or whatever the fiscal targets are. So what are the options to create fiscal space for these infrastructure investments? What are the conventional options, and how out-of-the-box can we get on that? AS: First, even if you look at the latest budget, the constraint on public investment in India, today at least, is not resources but just the ability to spend, spend well and spend quickly. That’s why in the short run, I have no fears at all that public investment is going to be constrained by lack of fiscal resources. In some ways, I am more anxious that we actually implement what have budgeted for. Partly, it’s because the ability to spend, generally, is not great. There are a few pockets that can spend well like NTPC (National Thermal Power Corporation Ltd.), railways, highways, roads and so on. But it is not easy to do that especially when the legal institutional environment is such that the CBI (Central Bureau of Investigation) and CVC (Central Vigilance Commission) are watching out for bad spending. There is a natural caution in the bureaucracy, which further limits how much you can spend. So, I don’t worry about the resource problem in the short run. In the medium term – I have a slightly strong view on our model of understanding the macro savings-investment picture. In India, I have been surprised by how enthralled we are with what I would call the Ragnar Nurkse-Rosenstein-Rodan Lewis kind of framework. To me, it’s surprising that in the last five years there has been this notion that this is the investment, we need so much saving; where will the savings come from? In fact, the East Asian experience tells you that savings actually rise to meet investment, and investment doesn’t become that much of a constraint on growth. Even if you look at our own experience in India, our savings shot up enormously during the boom period and it’s not as if we had to run huge current account deficits. The big current account deficits happened when we started decelerating for all kinds of different reasons. So while we need to devote time to getting better intermediation of domestic savings – to saying do we need more innovative sources of finance – I think my first-order concern in the short run is with implementation capacity and the natural caution that actually deters public investment. In the medium term, I worry less about this because the East Asian experience, whether it’s China, or Korea or Japan earlier, certainly shows that savings endogenously increase as you grow. In a sense what I’m saying is that there is a certain kind of finance fetish that I don’t completely buy. [26:36] KM: Maybe I was channelling Mr. Suresh Prabhu, who was here at the IPF (India Policy Forum) about a week ago. I think perhaps it’s because his Ministry has the capacity to spend, but seems to need to look for off-budget resources to fund some of these large capital expenses. He talked about going to the LIC (Life Insurance Corporation of India), for example. I think you’re exactly right – there is this financial intermediation problem. This then gets me to the next big item, which is that how do we get the banking system unblocked and how do we get it to start lending again? And there is a whole range of sub-questions I have in there, but clearly it seems like this is a big bottleneck right now. AS: Allow me a digression into Indian economic history here. If you were to ask me what were the two egregious economic sins we committed in our past – planning was de rigueur in those days, import substitution was de rigueur, so in real time, those were not major mistakes or bad choices. The two big mistakes we made in our history were the industrial policy resolution, and bank nationalisation. The reason is that while in all the other cases we tried to protect Indian industry against competition (import substitution, public sector etc. ), in this case we actually taxed and expropriated domestic investors. So in that sense, this was a very costly mistake. In term of reform going forward, we had a chapter in the Economic Survey which Rohit Lamba and others helped write. Allow me a small digression into kind of the ‘Mckinsey way’ of talking about these things; I call this the four Ds of bank reforms. First, if you look at the banking system, we actually practice financial repression very seriously. We were doing it on the liability side, but we do this on our asset side as well with our priority sector lending and the statutory liquidity ratio. I think we need to address those going forward. That’s the first thing that improves intermediation generally. Second, we need to differentiate – we don’t have public sector banks in India; we have public sector banks and public sector banks and public sector banks. We do need to differentiate how we approach this. Even any recapitalisation strategy should differentiate across banks. For example, there are clearly some categories of banks which you want to shrink, where maybe even the regulator can shrink; maybe some mergers and so on; some where you aggressively need to recapitalise; and some in which governance reform should be undertaken. So the whole one-size-fits-all does not work in banking. Third, we must diversify sources of financing – whether its many more banks, many more types of banks, payment banks – our licensing has to become much more broad. And of course, we have to gradually begin to develop our bond markets. In some ways, it’s possible that the way to get out of the problem is to grow the non-banking sector, rather than to frontally shrink the public sector. The last is to dis-enter, exit is very difficult from this. We need to get better bankruptcy laws. We need much more creative quasi-political exit mechanisms. This may even address the overhang problem we are experiencing. Because clearly, the legal mechanism for exit that we have right now is not effective and needs to be reformed going forward. That’s the way I see banking reform – the 4 Ds – and we have got to work on all of them. [30:54] KM: To the extent that everybody, at some level, implicitly knows that this is going to take an infusion of taxpayer money – there’s just no getting away from that – how do we design this, so we don’t watch this movie again? What are the options, given that this is a time-tested, repeated path? Jeff Sachs, about 20 years ago, famously said, “State-owned hotels irritate me, State-owned firms annoy me, State-owned banks terrify me”, precisely for the reason that it is a misallocation of resources across the whole economy. It feels like we are in a little bit of chicken-and-the-egg with respect to banks where at one level, the government feels that the asset values are so depressed that this is not the right time to exit. But then, you’re never going to get that valuation as long as you have the political economy of public sector bank lending. So, when you talk about differentiation, why not bite the bullet on say, one bank? If you are able to bite the bullet on one bank and say that you will bring equity down below 50%, then you will get to see how much the market gives you a control premium, or rather a de-control premium. That kind of lets you just de-risk the process of taking this on – pick one guy and see what happens. AS: That’s great advice and it certainly should be a part of the menu of options. However, it runs against the exit problem. Let me give you a sense of the political challenger, without disagreeing with what you are saying. A sector that I have been studying a little bit with my colleagues is fertiliser. In fertiliser, for example, we have this perverse system – you can’t make it up – where the more inefficient you are, the more the subsidies you get. The interesting thing is that some of these very inefficient firms are actually not very employment-intensive. But it’s not easy to do, and I am not going to try and second guess my political masters in terms of what is easy and what is not. But the reason I say this is that when you think about your solution for the public sector banks, that problem is kind of magnified n-fold. So that’s where we stand, and it is going to be a difficult thing going forward. [33:46] KM: On my smartcards work with Sandip Sukhtankar, Santhosh Mathew, who was our discussant last year (and who is here today), said that the deeper question is not whether smartcards reduced corruption, but why was it allowed to be implemented well when political rents were being shut down. I feel that the basic economic roadmap of what needs to happen is almost so obvious to many of us, that the highest value-add then comes from thinking through which are the winnable political battles, and finding ways in which you can get some of these things through. For what it’s worth – again based on some of the insights from Santhosh’s remarks on our work – it seems that there are two or three ways to cut through the political economy gridlock. One is that reforms happen in sectors where the rents are controlled by the opposition party. Given this diversity in banks and this diversity in where those rents are, that might be something that one could consider putting on the table. AS: I think that is a very good thought – I would like to go into a digression related to that. Crony capitalism in India is well known; I think it is older than capitalism itself. What is really interesting about India is that the markets for the ‘cronier’ and the ‘cronied’ are both contestable. On the crony side, one man is in favour today but the other man can be in favour tomorrow. But equally, the guy who is in the government and doing the crony-ing changes because of politics. One constraint on my misbehavior as a politician today, is that tomorrow I’ll be out of office and in opposition and therefore, liable to all this. That is an aspect of crony capitalism that I think is quite interesting. But more seriously, yes – there are some political constraints that we have to keep pushing and pushing as unacceptable. We may not win that battle. But there are other constraints, where we have to see how we overcome the opposition. One way is what you said; the other way is reform by stealth. The third way is to act where you find the minimum resistance. The fourth, is sharing the gains that materialise from eliminating the rents. For example, if we want to push kerosene and food by doing this through the PDS (public distribution system), maybe we have to incentivise the states – give them a share of the gains. Maybe we have to give the PDS shops a share of the gains as well. There are various ways and I think that’s what makes the economist’s job so interesting and so challenging. Because as you said, the big items that need to be done are well known. [37:40] KM: So let me add one more possible approach to this. As economists, we think that certain status-quo situations are inefficient. This means that the rent seeking is probably captured by relatively few people in this classic Mancur Olson ‘concentrated costs, diffused benefits’ kind of world. Kaushik Basu said that in many, many settings the problem is just ossified, bad ideas. One approach that might be promising in sector after sector is to do an incidence analysis of some of our most distortionary subsidies, whether its fertiliser or free electricity, and to plot out how regressive that is. The basic political economy of this is that if you have a highly regressive subsidy, then the median or average amount of that is going to be something that is covered by the 80th percentile. So you could take the stock of your subsidy, say free electricity, and repackage this as saying, ‘a certain number of free units for everybody’. You spend less than that, you sell at the graded price; you spend beyond that, you pay the market price. But the key thing is, if you were to put that proposal to vote, you suddenly have an 80% majority in favour of your reform. Besides looking at ideas and pushing things through, it feels like there might be creative ways of designing approaches to reform that allow us to reveal preference. AS: I do think – and this is what I am discovering from my job here – that there is a lot of value in just presenting simple facts clearly. For instance, the numbers that you produced on teacher absenteeism were phenomenally useful in changing the discourse around public education. In fact, even as we speak, we are doing some work on the power sector in India, and we are looking at how regressive or progressive the tariff structures are, state by state. If we could potentially bring to light how much it departs from some fairly egalitarian social welfare function, then that itself would be valuable. This can be done in a number of areas; you don’t even have to put it to vote (how you would do that is a difficult question). I certainly think that we underestimate how little the facts are understood, and there is a lot of scope for presenting these through simple analyses; you don’t have to do complicated randomised controlled trials. [40:55] KM: Speaking of simple facts, you earlier said something very interesting about the structure of Indian fertiliser subsidies, which I suspect not very many people know. You said the more inefficient you are, the bigger the subsidy you get. Can you explain for a lay audience why exactly that is? AS: Say, there are 30 fertiliser (urea) firms in India. Say, the internationally competitive price is about US$300/ ton. Say 15 of them actually produce at US$300 or below. But then, there are 15 firms that are producing either at US$400/ 450/ 600 and sometimes even more – so that is 2-3 times. If you are producing at US$650/ ton, the amount of subsidy that you get in terms of rupees will be much more. In a sense, the aim is to equalise the returns to all fertiliser firms. So the more inefficient you are, the more you need to get to equalise returns. These are firm-specific subsidies and they are perverse in this manner. [42:31] KM: That is just staggering. There are two recurring themes – one macro and the other micro-macro – we are seeing in macro-development economics. One is this idea of factor misallocation – whether its land, labour or capital – when you start looking at comparative performance across countries, how much can be explained by the exit problem? The other part is the work Nick Bloom and John Van Reenen and others have been doing, which involves quantifying management quality, and introducing management quality as one of the factors of production in an aggregate production function. The stunning thing that shows up in India is just how wide the left tails are, which is again this lack of exit problem, and what that is doing is sucking up the resources in a highly distortionary way. While privatisation or exit would of course be the ideal way, if that is politically toxic, we can think of rolling up a bunch of public sector holdings into a consolidated company that has professional management that is more insulated from each public sector undertaking (PSU) being seen as the respective ministry’s fief. Is that something which is seriously on the table? It’s not just management, it’s also tenure. To me, it’s staggering that you can have tenures of 1-3 years for chairmen and CEOs of major companies representing billions of dollars, while the global benchmark is 8-10 years. AS: Until recently, economists have been very poor at talking about management capability and quality even though we know it makes a lot of difference. For example, Siddharth George is doing some work which tries to explain public-sector project performance in terms of the civil servant managing it. I am a bit wary of these Temasek-type solutions because I don’t understand finance and anything that smacks of financial engineering makes me a little nervous! We need more talent in the public sector across the board. For example, we are moving from the State being an owner to the State being a regulator. We have hundreds and hundreds of regulatory agencies at the Centre and state levels. All of these are very specialised technical jobs. Often, they are inhabited by retired civil servants. Think of how much talent you need to run this new economy, where the regulatory function is so important. So just creating a Temasek- type thing is one of those ‘I’m going to solve the problem with a quick fix’. And I even if you got a Temasek, you got to have talent across the public sector. [45:42] KM: Absolutely. All I was saying is that if complete privatisation is off the table – there is no financial engineering involved – we can take the PSUs out of the domain of the line ministries and put them in a place where you have more functional autonomy and where you are able to hire management from the private sector so that you are not just restricted to civil service terms. But these would still be quasi-public entities in terms of reporting to Parliament and so on. AS: If you look at the more successful cases of introducing competition and efficiency into markets in India, whether it was airlines or telecom or even to some extent banking, it has been not by shrinking the public sector but by allowing entry for the private sector; reducing the market share. In the case of banking, one of the things that strike me is that if you look at the period of rapid growth in India (2003-2010/11), it was the most private-sector led growth in India and yet, the share of the private banking system barely rose. It’s a bit odd. Of course, ex-post, it seems like they were very wise and prudent. But there is something about why private sector banking hasn’t picked up more. And I still think the privatisation, the shrinking, the holding company – all have to be part of the mix, but there also has to be more and more entry. That is privatisation by stealth as it were; that’s why more generous licensing of conventional banks and payment banks is going to be very important. [47:48] KM: I guess that is where bankruptcy legislation is potentially a big thing, just by allowing that exit on the left tails that you are talking about. AS: One of the big challenges which we haven’t studied enough is that when you move towards a more regulatory State but are stuck with weak regulatory capacity; what does it mean for the design of regulatory policy in the first instance? You can design a bankruptcy law, but then it’s not as if we don’t have them at the moment. We have debt recovery tribunals, for example – understaffed, lack of talent, governance issues. So I think the bankruptcy legislation is no guarantee that you will get a smoother exit. We need to think about how we can improve capacity, or take into account weak capacity in designing it in the first place, or how we can try and take insights from behavioural economics to improve capacity at the margin. These are ideas we need to explore because these are the ways in which change will happen, more than by frontally attacking the exit problem. [49:17] KM: In a way, conceptually, it appears that the fiscal space is the constraint to getting the investments. But what I’m hearing time and time again, is that it is implementation capacity, it’s State capacity, it’s the ability to write decent contracts, the ability to follow through on regulation – and all of this capacity simply doesn’t exist in the State. But I want to throw two ideas out there in terms of the fiscal space (given that is within your remit), both of which are self-financing in some ways for the wave of infrastructure that we need. The first is property taxes. When we think about where the bulk of infrastructure is going to be needed, it’s not just at the state – it’s the urban infrastructure that we need. The basic public finance of that is that if I’m funding a public good with a bond, it should be creating more value in terms of the public good than the cost. In the context of urban infrastructure, that is going to be capitalised in the land and property prices. So unless you have a robust property taxing mechanism at the urban level, that’s reflecting the appreciation of these property values, you’re kind of putting yourself behind the eight ball so to speak, in creating a fiscally sustainable architecture for that. The second idea is again one of the core principles of public finance – taxing bads and reducing taxing of good things. In this case, it would be something like a graduated carbon tax that would be put into an escrow account, explicitly for infrastructure. There are two things – one is that the environmental position has gotten stuck behind this somewhat sanctimonious international negotiating position of saying that we need our turn to pollute. But even without the global externalities, the domestic health externalities of where we are sitting in terms of the environment are high enough that this is a win-win-win, if it’s done in a gradual and transparent way. A creative political communicator can get the message across that the majority of the incidence is perhaps on the high end of the income distribution. AS: I’ll take the points in reverse order. In fact, the graduated carbon tax plus what we had call earmarking, is in some ways, exactly what we have done in the last one year. Petroleum taxes have been raised, and in the Economic Survey we calculated what the implicit de-facto carbon tax was as a result of the increases in excises on diesel and petroleum. For example, in the case of diesel, we went from carbon subsidisation; it is about US$62/ ton of carbon dioxide. The international norm – Nordhaus, Weitzman, Stern – is about US$25/ ton. In the case of petroleum, it is about US$120/ ton of carbon dioxide. Some of these were levied as cesses, which have been earmarked for the public sector infrastructure programme. So the government has been doing exactly what Dr. Karthik ordered! I think there is more scope for that. (Let’s come back to climate change later). Even the coal cess was increased from a 50 to a 100 and then to 200 in the last budget and again, earmarked for a ‘Green Fund’, which is meant for investment in green projects. So that’s exactly the thinking and I think we should do more on that. On land for instance, in the last 15 years or so, if you take into account how much land prices have gone up and how little has been captured in taxes, it is a travesty. It really comes down to how we are going to address this third tier of governance, and the experience hasn’t been great. Even the Fourteenth Finance Commission, perhaps, didn’t go far enough in terms of giving these fiscal abilities to the third tier to generate taxes. Here again, we run into this question of, ‘but why hasn’t it happened?’ And clearly ULBs (urban local bodies) don’t have an interest in doing this because it’s unpopular. Again a digression here, which I think is very interesting. If you look at the fiscal history of the United States after the civil war – they had restricted franchise. Restricted franchise meant the property owners were the voters as well. They had an incentive because infrastructure was financed mostly by property taxes but it was a self-sustaining equilibrium because the taxes led to increases in land values. One lesson we could draw is that we should go back to restricted franchise, which of course, no one in this day and age would make. [55.12] KM: I find that quite surprising because I thought it would be the opposite. The landless should be happy to vote for more property taxes. So this seems to be the sort of tax that universal franchise would actually push in favour of. It’s the opposite if you restrict it to just having landowners as voters; then they are the ones who are not going to want to have the property taxes. What am I missing here? I would think in fact in our setting, it seems that the political economy is rather in the opposite, which is more in the sense that you rise the greasy pole of power up to the state, but then the money is kind of controlled in the cities, which means you don’t want to let go. So that seems to be more what’s happening in our setting rather than an inability to tax per se? AS: I meant that if urban bodies will have to tax, the losers will be the propertied class to some extent and there’s where all the opposition is going to come from. It is a case of concentrated losers, diffused beneficiaries (as in the Mancur Olson thing) – so you get a difficult equilibrium. [56:15] KM: Correct, so then the argument has to rely more on the nature of the public goods that are financed – the nature of the public goods that are financed has to be something is more benefitting for those who hold land. AS: In the US example, you had concentrated benefits and concentrated costs as well and that worked. T.V. Somanathan and Devesh Kapur have done some work around this. K.P. Krishnan, who is here, is an expert on local governance; he did a lot of work in Karnataka in actually creating the technology, the land records, the urban titling and so on, which is a precondition for doing all this. One question one could ask here is: given that the property taxes are what they are, what can the Centre do to incentivise some of these things? There is a bit of a struggle here. On the one hand, recognising the bad political economy equilibrium at the local level, you want the Centre to use either carrots or sticks to make this happen. But then, T.V. Somanathan – someone who comes from the states – said that some of these decisions are actually made by the State Finance Commissions and so it’s kind of an intrusion in democratic legitimacy for the Centre to do this. So you struggle with these competing things, and frankly, I don’t know what the answer is in this case. [57:52] KM: That sets the stage for my next pivot – one broad view of this government in the past year is that there has been a fair bit of movement in the domains that are directly in the control of the central government, whether its foreign policy, railways, or defense. Then when you look at something like Ease of Doing Business or Make in India, the vast majority of the web of regulation and last mile rent-seeking that plagues businessmen is still at the state level. What levers does the Centre have to meaningfully push on this in a way that delivers on the promise of this government? AS: With the Fourteenth Finance Commission, there are fewer and fewer levers because more untied resources are going to the states. But it’s not that it’s beyond the Centre. This is why competitive federalism is so important; you need to have change from above but also change driven by competition among states. In terms of what the Centre can do, here are a couple of possibilities. One is expenditure management systems can be improved considerably (Santhosh Mathew is a big proponent of this) – reducing the float/ idle balances in the system are some things you can use to incentivise states to follow up. The second possibility is that, at this juncture, we have all this work by people at the World Bank saying that the greater the alignment between the states and the Centre, the likelier it is that resources are going to flow and change is going to happen. Similarly, in so far as there are states that are aligned with the Centre, there could be more political direction to make this happen as well. It’s not for me to say how it should be done. I think that is the opportunity of this current mandate. The constitutional levers are receding but there are still some left and now we also possibly have political alignments working in a way that we can push some of these things around. To some extent, these things are happening; Rajasthan reformed the Labour Law; Gujarat and Madhya Pradesh are following. PDS is good in some states such as Andhra and Chhattisgarh. So I think a combination of the limited levers – constitutional plus political – that we have, is the way forward at this current conjuncture. [01:01:29] KM: In the context of expenditure reforms, if you think about expenditure management, what ends up happening in practice is that every department has a request for a certain amount of money for its dream set of projects. Finance doesn’t really have the wherewithal to go into assessing the quality of spending because this is the department’s ask and the department’s domain. It’s incentive compatible for every department to ask for as much money as possible; it’s then your job to say you can’t get it all. But then that becomes an alibi for this low-level equilibrium, saying we didn’t get the money; the same thing happens with the states. So it seems like there is a structural weakness, whereby departments are penalised for being cost effective at delivering what they need to do. As we think more deeply about architecting expenditure management and improving quality of spending, is there something that the Ministry of Finance can do? Take the example of teacher absenteeism, where the fiscal cost is Rs. 9,000 crores a year. We documented this problem in 2003. We then went back to the schools seven years later and while there was massive improvement in every input, the absence number hasn’t gone down very much. And this is just one line item of one sector. But that’s just not on the radar. How do you reward departments for delivering better quality of expenditure? AS: There are two problems here. One is the monitoring of outcomes. When you say quality of delivery, start with – do we really focus on outcomes? Rukmini Banerji is here. Pratham and ASER (Annual Status of Education Report) Centre have been focusing on the lack of learning outcomes. But I think here we have an opportunity because the Prime Minister who, as Chief Minister of the state of Gujarat was really obsessed with outcomes, and even now he really wants to focus on outcomes at the central level. In fact, during a meeting he threw out this idea: ‘Why don’t we have 1-2 universities or think tanks in every state that will undertake assessments of the quality of expenditure in that state?” Maybe we should have 29 J-PALs in the country and not one. I think we have to start with that because if you can show value for money or lack of value for money, that can be an important input into the first-level decision of what gets financed and what does not. So far, it’s fair to say that we have not focused enough on outcomes, and we have an opportunity now. So any ideas that people may have for improving the translation of expenditure to outcomes, I think this is an opportunity. The second level is how much money you are pushing into the system. That is kind of the float/ expenditure management problem. I think there, the Centre still has a lot of say. If we can begin by showing for one part of expenditure, which is subsidies, that we can do this and effectively solve the first mile (identification of beneficiaries) and last mile challenge, that provides the segue for saying that why just for one component of expenditure, and get the management system going. [01:05:40] KM: Let me just go back then to the Fourteenth Finance Commission. I completely agree that it is a game changer. I wrote an op-ed about this 3.5 years back; you and Devesh Kapur have written about it – and finally we have seen this happen. But I think globally there is one concern, which is that if you look at the evidence on public service delivery after decentralisation, the general sense is that the average improves a little bit. The average improves because the better units pull away and the weaker units fall behind and that exacerbates inequality. Maybe this is just part of a Kuznets at the state level that we can’t get away from – -you need those leaders at the state level to demonstrate what they do, before the laggards catch up. I guess there is a genuine concern that with great power comes great responsibility, and the states have not always shown the ability to spend wisely. The state electricity boards are kind of exhibit A in the perilous state of public finances at the state level. AS: I have three responses to that, Karthik. One is that if you plot fiscal transfers (Finance Commission) per capita against state GDP per capita, and do the same for plan expenditure per capita, you find that fiscal transfers are more progressive than plan transfers have been. Why? Very simple – because the formula of the Fourteenth Finance Commission is more progressive; it has all these indicators. Also, plan transfers are discretionary and they moved away from formula-based transfers. So I certainly do not accept prima facie, based on the limited evidence I’ve seen, that moving from plan transfers to Finance Commission transfers is regressive. [01:07:27] KM: My point was not so much about the financial flow, but more about what the states will do with it and then you get the divergence in performance. AS: Secondly, in terms of the fear that the states will fritter it away, if you look at the aggregate numbers on fiscal discipline and fiscal profligacy, the Centre, on average, has been more profligate than the states. Clearly, there is some variation and we need to think about that. And the same variation applies to your concern about expenditures. Now this brings me to my third point. Dilip Mookherjee, who has done a lot of work on decentralisation, is here. Certainly there are those who want the Centre to spend more, because they think that the center will spend on more important things such as health and education, and spend it better. But I struggle with that because in some ways, even if that were true, that is in tension with the other principle we believe in, which is that it should be done closer to the people. So I don’t know how to finally completely reconcile that. One way of doing this going forward, in a cooperative federalism framework, would be to have more accountability mechanisms/ loose forms of conditionalities say via NITI Aayog (National Institute for Transforming India) for this kind of mutual surveillance – something like what the European Union was conceived to do. [01:09:58] KM: Correct. And I was just going to pivot to the social sector. There has clearly been a certain amount of unfair criticism of the government for cutting down expenditure on the major social sectors – education, health, ICDS (Integrated Child Development Services) – but it really just shows up in terms of the transfers, and I think the expectation is that the states will take it up. Two subtle points though: the price of social spending has changed because when it goes with the centrally-sponsored scheme, the matching means that the marginal cost of spending at the state level is lower. The income effect is constant but the price effect mitigates against social spending. But of course the flip side of that is you no longer need to have an extremely competent Principal Secretary in Tamil Nadu having to come to Delhi for approving their programs and you could see them just chafe at the extent to which they needed approval from Delhi to do things. AS: So not just the chafing at the approval from Delhi, but also in some cases, the design was a one-size-fit-all. [01.10.51] KM: Absolutely, but the design needed to come for approval, in some sense it had to fit the straitjacket. So I completely agree, and, my instincts are with yours which is to say that if you just follow the first principles of fiscal federalism and what level of government the different functions should sit, there is almost no doubt that the service delivery function should perhaps sit closer to the state. So then the question is about the role of the Centre, if any, because the tension here is that the history of progressive legislation in the world including in the US, has typically involved the federal government coming in. So if you think about universal healthcare, in principle, there is nothing that prevented states from doing it. Of course, healthcare is different with different markets and unraveling and all that. But the logic of needing to do this federally – that I think is the deep tension. There is a very deep tension that states’ rights are a more conservative principle, but it is a conservative principle that usually lead to more inequality and potentially more marginalisation of the poorest. To the extent that we’re very cognisant of that tension, does the government have or do you have suggestions? Are there any ideas that can get the spending donecloser to the state, while recognising the long arc of the history of progressive legislation that has been typically through the Centre? AS: That’s a very good point. Maybe this is not a very good answer, but I do think we have to have some form of cooperative federalism with the Centre in the lead, to drive that kind of progressive change, but have buy-in from the states. One of the big successes of cooperative federalism in India in terms of institutions was actually the empowered committee set up under the first BJP government for the state VAT. So you had the Centre and states coming together to design the state VAT and that model has been carried over to the GST. The institutional structure is such that the Centre has 25% and the states have some share. If you can get mechanisms like that going, that is perhaps the way to straddle these things because otherwise this tension will remain. In India, especially now that states have tasted this Fourteenth Finance Commission thing, the desire will be to move more and more in that direction. So resuscitating the role for the Centre, especially for greater progressivity, is tough. [01:14:00] KM: Given that there are a lot of students in the audience, I thought it would be useful to reflect on the role of the CEA (Chief Economic Adviser). What does a day in the life of a CEA look like? What does your office look like? I mean how does this beast work? How do you feed inputs into the complex policy process? AS: I was hoping you would ask this question. I don’t want this to sound in any way either cute or glib or self-laudatory, but I wake up every morning and think how did I come to get this job, because this is the most exciting job in the world! At any point in time, there are so many issues to work on, so much to do. I have this fantastic team of government officials and youngsters from outside, which enables us to work on so much. For example, before the last budget, we made the case for public investment. There is a generic case for public investment, which we all know about, but this was a circumstantial case for public investment because of weak balance sheets, and the interaction between the public and private sector. We did a lot of work on that and, to some extent, it did translate into a budgetary decision. We are working on fertiliser, power, DBT, water, savings and so on. The fact is there are just so many issues where intelligent analytics, good careful data collection, and data exposure can be useful. Great credit to this government for being so open to listening to not just me, but to what several people have been doing. Whether they finally act on it, one can’t second guess the political constraints. But at least the feeling that they want new ideas and they want to listen has been an absolute joy and delight. I think I am as excited as you are, Karthik, when I wake up every day! [01:16:50] KM: Let me tie that back to something we talked about in the context of the Fourteenth Finance Commission. So you’ve got states that have more people than most countries in the world, now with large amounts of money. How is it that we don’t have the equivalent of an office of CEA in every state, because as CEA, you are also the head of the Indian Economic Service. So to the extent that we are talking about building State capacity, you can’t control the overall State, but this is still something that’s more directly within your purview. It seems like it could be a great institutional legacy if you could create the space for a CEA in every state because just as you talk about the issues in the country, I’m sure each state needs exactly that level of depth and analysis. AS: It’s interesting you ask that, because this year after the Economic Survey, we actually went to 12-13 different cities to disseminate the Survey. The reactions were remarkably encouraging. In fact, three states – Jammu and Kashmir, Bihar, and Kerala (and I’m sure this could’ve been true of the other states as well) – said that they wanted help from us to do economic surveys for each of the states. This is something I’m very serious on following up with these states. The first step can be to help states to do economic surveys, like we do for the country. Many states actually do economic surveys already, and there is a real interest in this Of course, this is something that state governments have to agree to. Gradually this can morph into something ambitious like having a CEA office in every state. The Indian Economic Service has fantastic people, and certainly, we could have people from there or from outside. [01:19:02] KM: But essentially, these are country-sized economies but they just don’t that kind of analytical capacity. AS: That’s absolutely right. Take power, for example. If you asked me what the problems and facts are, we don’t really know, and we have to know it for 29 different states. So the scope for work is incredibly enormous. Having a CEA for every state would be a great idea. Perhaps like NITI Ayog and an empowered committee, we should have a state-Centre thing for CEAs and have that interaction. [01:19:48] KM: This comes from what we talked about – the basic economics of what needs to be done is straight forward but the political constraints are different in different states. So you need someone who is not just embedded in the economics but also the political economy of that particular state, and can then suggest the best way forward given the feasibility constraints. AS: But also, it works both ways; there is a particularity to each state that you need to handle, but states can also learn from other states and the two-way thing is actually useful. [01.20.23] KM: My last question is about the state of economics and what students should be doing. As people are picking their dissemination topics or what they want to work on, what would your reflections be on the following: What research generated in the past 10-15 years has been impactful both in terms of academia but more broadly, the policy world that you inhabit? What type of research do you call in on and are grateful is happening, and where do you think the big missing markets are because that is where we would want to be directing the new talent? AS: So just to be a little bit practical about this, in the job that I do, there are two kinds of sources of research I love to draw upon. One is that I read Harish Damodaran from the Indian Express on agriculture almost every day. So the first part is real-time stuff – what’s happening in India, what’s happening in different states, what are the issues. That is something that you have to just pick up as you go along. But then, there is the more enduring stuff that you need to draw upon. There is a macro and micro component to that. The macro component is also very important and includes work that has been done on capital account liberalisation, exchange rate management, inflation targeting – all these are things that you have to constantly draw upon. So I can’t identify any one piece of research on this. On the micro side, how can I not say I have been inspired by Karthik’s work on teacher absenteeism, smartcards and so on, and the work Prabhat Barnwal has done on petroleum. So there is a huge body of work. In a sense, when you want to make first principle type policy recommendations (as opposed to the pragmatic – do you want to have a tariff or a quota, should the export tax be increased to x or y – which are more seat-of-the-pants kind of decisions), you need to draw on everything that has been written on the subject. So in some ways, for the job of the CEA, an interest in the breadth of things is really important. I have two pieces of advice for students. One is the advice Rudi Dornbusch gave to Paul Krugman. Paul Krugman went to him and asked what he should work on. Apparently, Rudi said, If you want to do macro stuff, just read the Financial Times every day, and that’s going to give you more ideas for research, in terms of what to work and what is important’. I do feel that the younger generation doesn’t read enough – that is a big problem. Let me make a plug for my development economics reading list here! If you want to understand development you have got to read economics but you also have to read beyond economics – history, political science, political theory, even fiction I would argue. So reading a lot is going to give ideas of what to work on. In terms of actual specific topics, there is everything to play for. The people in my office are working on a range of issues, and we’re just scratching the surface here. I guess that’s one advantage of backwardness – there are many distortions and the scope for academic work is huge. KM: Thank you so much, Arvind, for a delightful conversation.